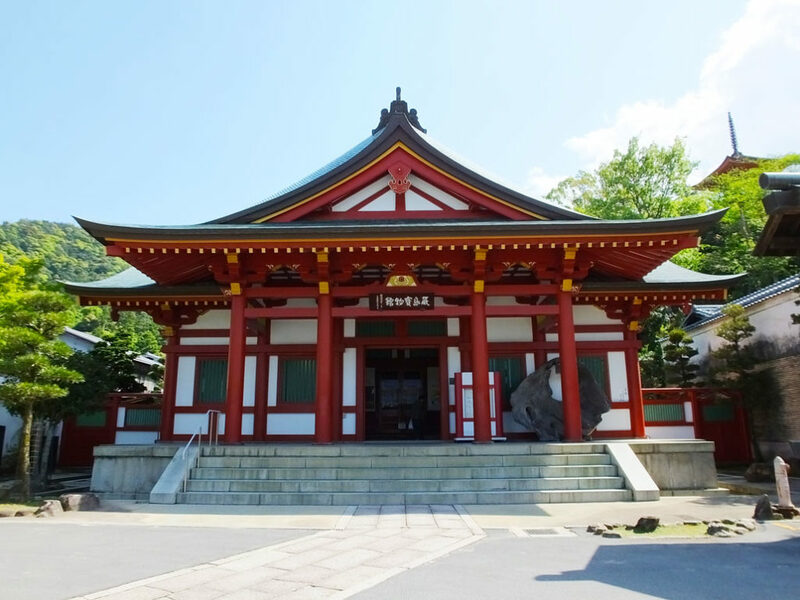 Soon after you go out the exit of Itsukushima Shrine, you will find a museum of the shrine, Itsukushima Shrine Treasure Hall. There you can see a part of precious artifacts that were dedicated to the shrine by men of influence in the old times including Heike (the Taira clan). The museum contains about 4,500 items, and over 130 of them are designated as National Treasures or Important Cultural Properties. The artifacts date back to about 900 years ago. Some of the National Treasures in the museum are called Heike Nokyo, and they are very important in the history of Buddhism in Japan. Heike Nokyo are sutras with beautiful pictures, which were dedicated by Heike. Beside them, there are a lot of worthy things, such as a folding fan in the Heian Period (794-1185), samurai armor and swords and wooden masks for bugaku, or court dance and music. They change the exhibits from time to time, so this museum is always worth a visit. It is interesting that the museum is built in the architectural style of traditional wooden buildings, and at the same time, a modern building material, reinforced concrete is used in the construction. The building is lacquered with urushi (Japanese traditional lacquer), so its surface is really smooth. Thanks to the urushi, the building can last for a long time. In front of the museum, you can see a sliced trunk of a giant tree. 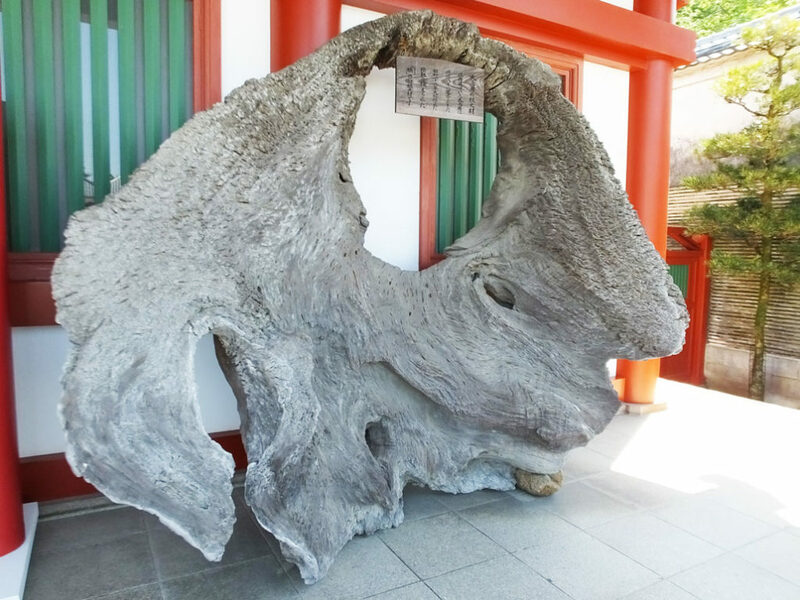 The trunk was used as a pillar of the big torii gate of Itsukushima Shrine, O-torii. It was replaced in 1875, and since then it has been displayed here. The admission fee for the museum is 300 yen for an adult (in 2018). 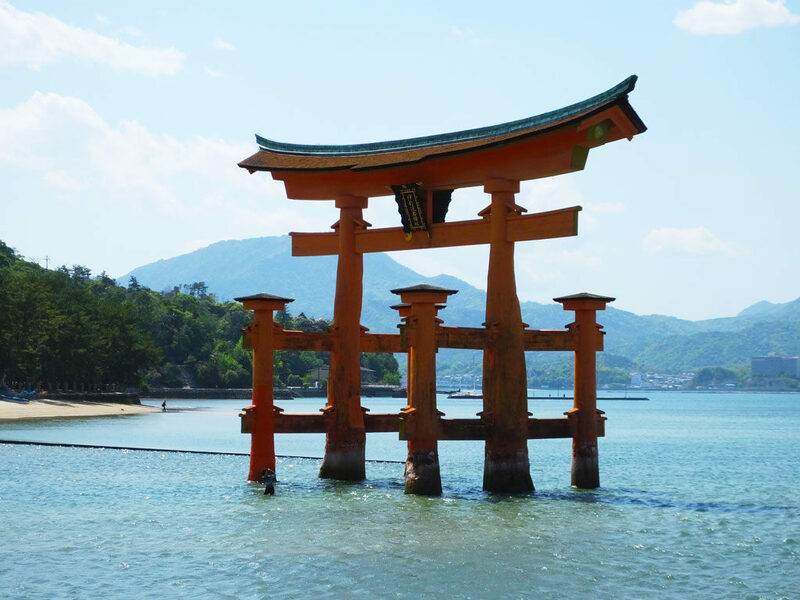 If you visit Itsukushima Shrine, I recommend you to buy the combined ticket because it is a better deal than two tickets. You can buy it only at the entrance to the shrine, so visit the shrine first and then go to the museum. Enjoy!